Durham Regional Hospital, when it opened in 1976, through the early 1990s, was Durham County General Hospital. Good point/catch, Dan. I'll correct. What odd windows. I wonder if the whole window was curved or just the screens? Gary, at some point in the future when you focus on points north, I'd love to know more about the old county home. I barely remember it being there. It appears to have been just the screens. At first I thought this was to allow windows to swing outward, but it appears that the original double-hung windows were still in place. My other thought is that it was to allow window AC units. I have a whole North Durham series lined up, including the county home, that I'll get into early next year. The clue to understanding the odd curved screens is by looking at the 1924 picture of the Lincoln Hospital. Two of the windows are partially opened in that 1924 photo. These windows are identical to the original windows used on the Carolina Theatre (Durham Auditorium) built in 1926. I worked at the Carolina in the '80's and can remember that opening the windows was done by pulling IN the LOWER window towards yourself it would move in an upward fashion, and at the same time hidden mechanical arms would move the UPPER window OUT and DOWN at the same time. If you stopped halfway the upper window was tilted out and halfway down with the lower sticking inside. If you completed the opening of the window both UPPER and LOWER halves would sandwich together!! So the screens had to allow for the outward movement of the upper window. Crazy sounding but true. The stairways at the old Carolina were not air conditioned in the summer and we opened those windows alot in the manner described above. We had no screens at the Carolina, so bugs just flew in the stairway, but if we had screens they could have definitely used the style seen on the Lincoln hospital. I was born in Lincoln in 1952 and I told I was named after a Nun Sister Terressa DePaul is there anyone who know who she was I have always wonder why I was named after her when all my other brothers and sisters was named after family members.. The second Lincoln Hospital, 1301 Fayetteville St., 1924. The second incarnation of Lincoln Hospital was located at 1301 Fayetteville St., replacing the earlier structure at the northwest corner of Proctor St. and Cozart St. The hospital had been established at that earlier site primarily through the advocacy of Dr. Aaron Moore. Dr. Moore felt strongly that the African-American community should have their own hospital where African-American physicians and nurses could practice. The institution also included a school of nursing, established in 1905 and provided internship/residency training to physicians. 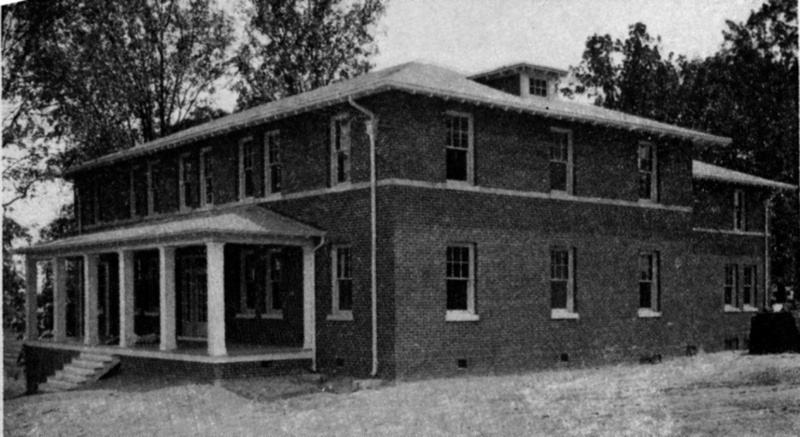 When the hospital had outgrown the original structure (which suffered a fire in 1922,) a community-wide effort to fund the construction of a new Lincoln Hospital was undertaken. James B. Duke and Ben Duke offered to match $75,000 of contributions from other members of the community. John Sprunt Hill and George Watts donated the land at 1301 Fayetteville St., the 4 acre former Stokes Farm (named Stokesdale) - which they had purchased from Alvis H. Stokes in 1917. A neoclassical structure, designed by Milburn and Heister (architects of city hall, the Carolina Theater, Alexander Ford, Union Station, Durham High School, and the Durham County Courthouse) was completed in 1924 and opened on January 15, 1925. The hospital contained 86 beds. Dr. Charles Shepard, as superintendent of Lincoln from 1923-1935, and Dr. Stanford Warren as president of the Board of Trustees from 1919-1940, oversaw the transition to the new hospital. They helped modernize standards of care at the hospital, and the acquisition of more up-to-date equipment, such as x-ray technology. Behind the main hospital building was a "nurses' home". Ben Duke contributed $35,000 towards the Nurses' Home; this was combined with funds from Dr. Moore's estate to furnish the rooms and provide equipment for classrooms. Dr. Charles Shepard proposed that the Nurses' Home be named after Angier B. Duke, Ben Duke's son, who had died in 1923. Looking south from Linwood Ave, 1946. The nurses' annex was located on Massey Avenue - it appears to have been an earlier frame structure (predating the second hospital) that was adapted for its later use. 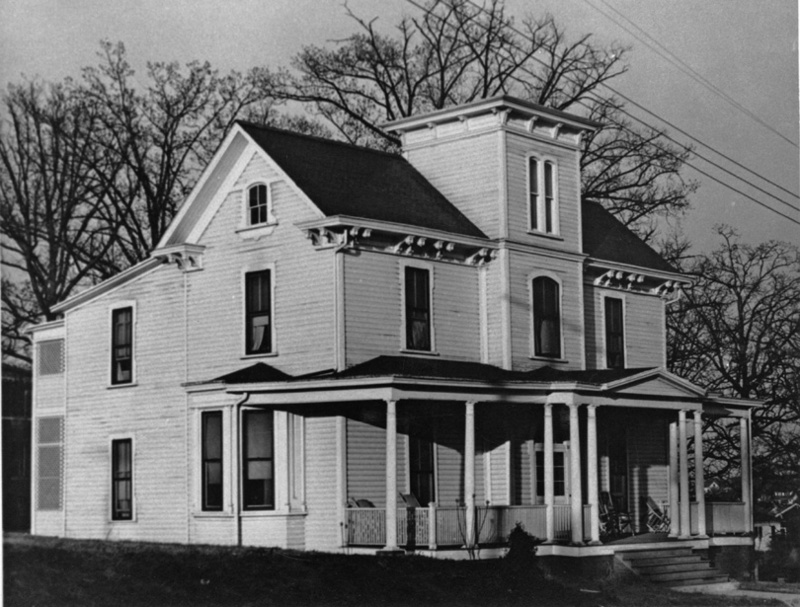 Given that it was referred to as "Stokes Home", it may have been the main house for the Stokes farm. 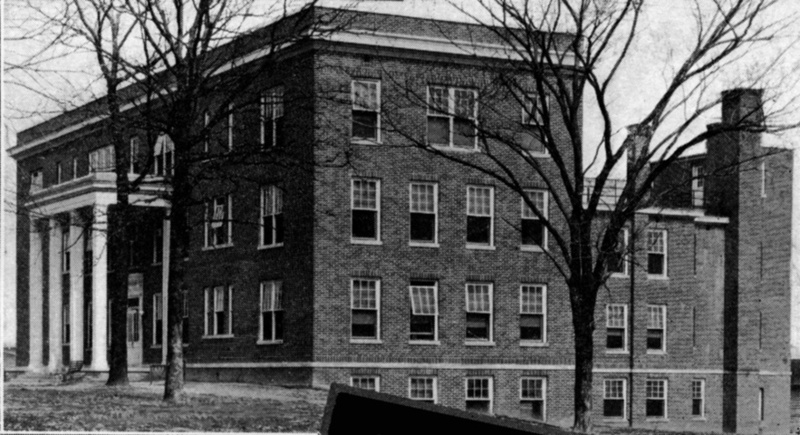 Per P. Preston Reynolds, it provided housing for preclinical nursing students. Nurses' Home Annex, facing Massey Ave., mid 1920s. Lincoln from Fayetteville St., 1930s. Per Dr. Preston Reynolds, in 1940, 5636 patients were seen in the outpatient clinic at Lincoln, and 20,858 days of inpatient hospital care were provided. Surgeons performed 236 major and 1399 minor operations. Below, an aerial shot of Lincoln Hospital in the foreground; WG Pearson Elementary is in the background. The main building, nurses home, and nurses home annex are visible. 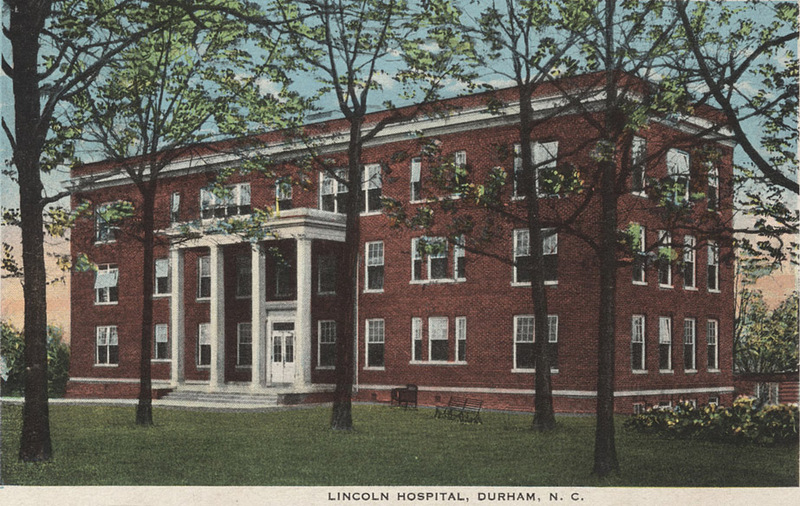 A joint proposal for Federal funding to expand both Lincoln and Watts Hospitals was submitted to the North Carolina Medical Care Commission in 1950. A local bond measure passed as well, providing $333,700 to Lincoln and $1.6 million to Watts. Lincoln's funding was matched with $258,700 in Federal funds. This allowed the construction of a new 33 bed wing, completed in 1953. This brought the bed total at Lincoln to 123. Jean Anderson notes that, by the 1960s, both Lincoln and Watts Hospitals were providing outmoded hospital facilities to Durham. An initial plan to build a new, integrated Watts Hospital was soundly defeated by both Durham whites and African-Americans - by whites due to integration, and by African-Americans due to the loss of Lincoln Hospital. A multi-racial Hospital Study Committee was set up, which recommended the construction of a new hospital, and the conversion of Lincoln and Watts into extended-care facilities. This initially also met with opposition, but eventually all parties agreed to the need for a new facility, and the measure passed. This would lead to the construction of Durham County General Hospital on the former County Home site on N. Roxboro Road. This facility was renamed Durham Regional Hospital in the 1990s. Lincoln Community Health Center opened in 1971 with funding from Office of Economic Opportunity and Operation Breakthrough. Its mission was to provide primary health care to citizens of Durham who could not otherwise afford care. The health center and the hospital operated together in the Fayetteville St. facility until September 25, 1976, when inpatients were transferred to Durham Regional Hospital. The community health center continued to operate in the existing facility until 1980. Demolition of Lincoln Hospital and its 1953 annex, 02.17.83. A large surface parking lot in the middle of the block replaced the original hospital. The Lincoln Community Health Center continues to operate as a community clinic and emergency care center, providing care primarily for citizens without health insurance or who cannot otherwise get care, including adult medicine, pediatric, adolescent, dental, behavioral health, and prenatal care.